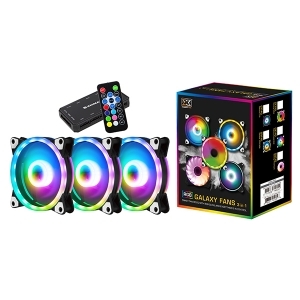 Galaxy II is a new Generation of Addressable RGB fan from Xigmatek, 120mm fan frame with addressable RGB LEDs, able to provide rainbow effect by itself or sync with M/B to have a full PC case with integrity lighting effect. 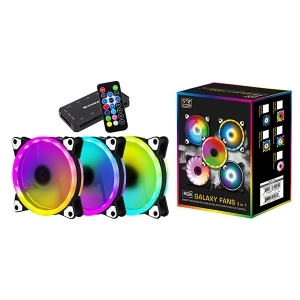 Able to support mainstream ARGB motherboard in the market. 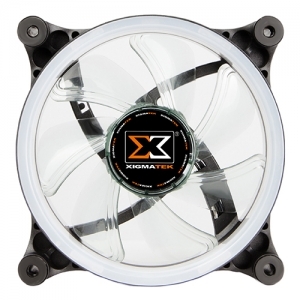 Xigmatek hydro bearing fan provide long life, high performance and low noise. 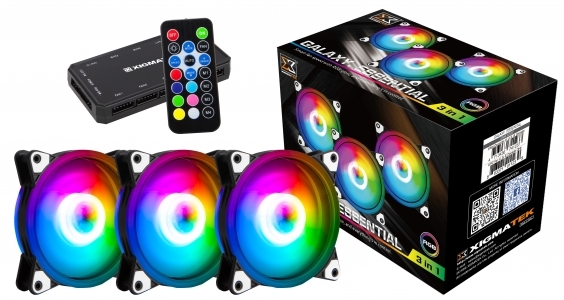 Galaxy II is a smart RGB system with MB sync and everything’s in control. 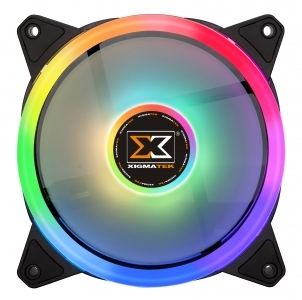 XIGMATEK SC120 RGB LED fans comes with 72 independent RGB LEDs and 7 translucent fan blades with XIGMATEK’s Fluid Circulative Bearing technology (FCB) for excellent air delivery. 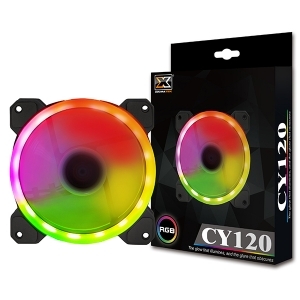 SMART FAN SPEED WITH RGB GLOW, AND EVERYTHING’S IN CONTROL.